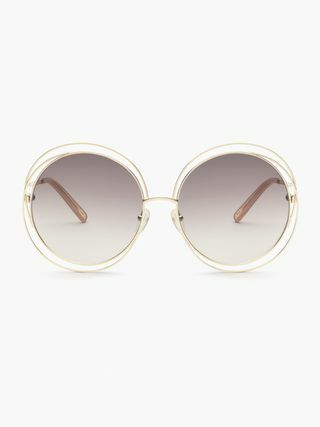 Decidedly glamorous and with a distinctive retro attitude, the Maison's iconic Carlina sunglasses encapsulate a light, feminine and fluid mood, with a nod to vintage styling. 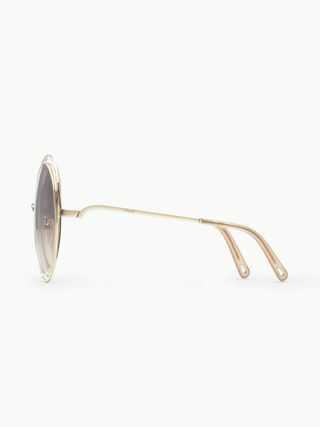 Dramatically round and oversized, the pale gold metal frame features concentric circles that seem to spiral around and around in an endless, free-flowing movement. 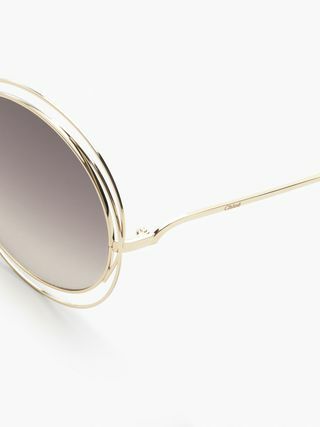 The warm glint of the sleek frame complements the nuanced lenses reflecting feminine peach and brownish hues.